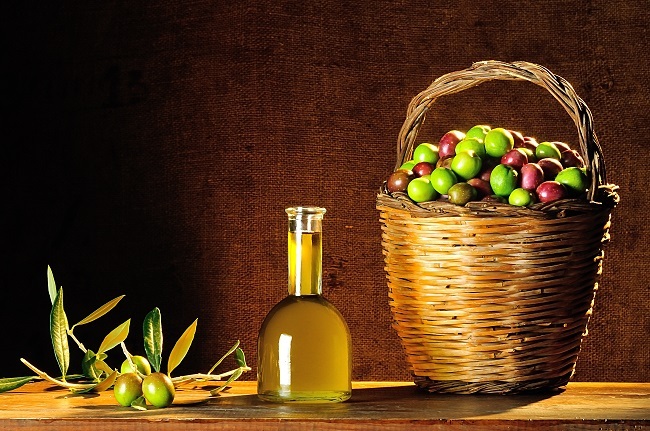 The craft of making olive oil dates back thousands of years in the Mediterranean region. Today, it is a very refined art, with methods varying widely from region to region. However, the more general processes are all very similar. Olive trees that grow in the Mediterranean need to grow for several years before they begin bearing fruit. As the trees grow, they must be pruned in a certain way to make sure the tree bears a good amount of olives. 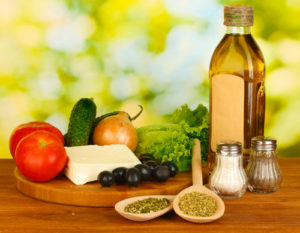 The amount of olives is important, because ten pounds of olives produce only one liter (four cups) of oil. Farmers harvest olives right as they ripen, which is a very short period of time; olives are only considered to be in prime ripeness for about two or three weeks, and their health benefits rapidly dissipate over the next month. Therefore, olive farmers need to pay close attention to their crop to ensure they get a perfect batch. The safest way to harvest the olives is to hand-pick them, because shaking them off the tree could cause them to bruise, which is not good for the olives. Some growers do use tree-shaking devices, and separate their batches into “ground” olives (those shaken to the ground) and “tree” olives (those that have been hand-picked). The tree olives usually produce a higher-quality (and more expensive) oil. There are also growers that use nets to catch olives before they hit the ground. 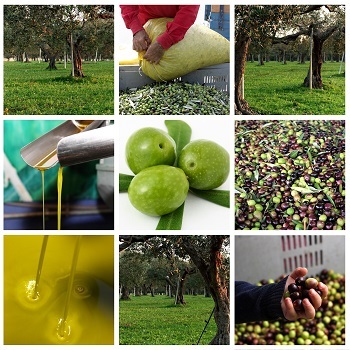 Olives must be processed quickly after harvest so that they maintain their quality. Once they have been washed, they get deposited into big steel rollers that grind them into a fine paste. Water then gets stirred into the past to provide a better concentration. Usually the mixture then gets stirred for around a half hour. In some cases, the mixture will be heated slightly to increase the oil yield. Next, the pasty mixture gets placed on mats and is either pressed or sent into a centrifuge, which pushes paste remnants away onto the side while extracting the oil and water from the mixture, and separating the oil from the water. The remnants of the paste that get deposited are called “pomace,” and may be used to get further oil or for other purposes. Once the oil has been separated from the mixture, it might be refined, deodorized or bleached. The refining process reduces the oil’s acidity and bitterness, the bleaching process lightens the oil and deodorizing removes some of the harsher olive smells. After that, the oil is stored and prepared for shipment. 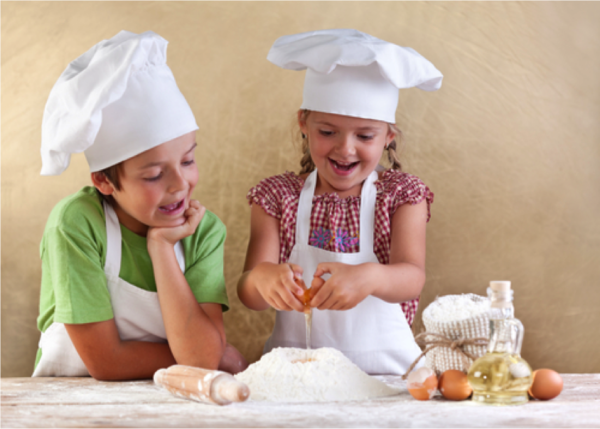 So as you can see, your olive oil goes a long way from the tree to your kitchen cabinet!